Direct importers of exquisite hand made rug from across the glob. We also carry products of some of the best brands in the industry. Since 1994 Babak has assisted discerning homeowners and designers in finding that perfect rug for their home or office. Today, along with his wife Mahdis they offer an extensive collection of exquisitely handmade area rugs directly imported from various countries across the globe. "Buying directly from the source allows us to purchase the rugs at the lowest possible price by eliminating the middle-men brokers. 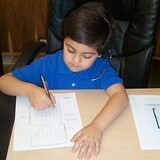 Therefore our customers save hundreds and sometimes thousands of dollars on their purchases. Our professional cleaning and repair service treats each rug with the attention needed to preserve the vibrancy of dyes, the suppleness of the fibers and the integrity of the hand-tied knots. We use traditional techniques and environmentally friendly process to revive the colors and textures of your carpet." **We only provide installation if material is purchased from our store*** We are a full service Floor covering company specializing in residential remodel and light commercial. In our large contemporary showroom you will greeted by real professional sales people with decades of experience. Our top notch Installation teams are highly skilled and factory certified to insure the best results. 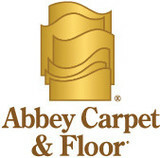 Santa Clara Counties highest rated flooring company with customer service being our top priority. We love the floor Covering business and have for over 40 years. 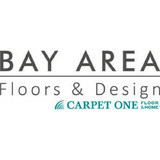 Carpet dealers in San Bruno, CA help homeowners choose the correct carpet covering for their floors, and also assist with carpet maintenance. This includes determining factors like material, carpet pile, durability, color and size, as well as helping with any custom carpet design. After completing the initial installation (which includes removal of the old flooring, if applicable, and surface prep), they may also handle follow-up maintenance requests such as carpet cleaning, carpet repair and carpet stretching. Find a carpet dealer on Houzz. Narrow your search in the Professionals section of the website to carpet dealers in San Bruno, CA, and read reviews and ratings for pros in your area.